This concert at St John's Smith Square was part of the London Festival of Baroque Music on Saturday 13 May 2017 featured one of this year’s other anniversary composers (Monteverdi being the more high-profile one): Georg Philipp Telemann died 250 years ago in 1767 at the age of 86 having left behind huge numbers of works that listeners to Radio 3 are regularly exposed to. Florilegium, director Ashley Solomon, performed Telemann's Ouverture-Suite in F major TWV55:F15 and Cantata: Ino, with soprano Elin Manahan Thomas. Sandwiched between two Telemann works was Bach's fifth Brandenburg concerto. The concerto is probably one of the most famous job applications in musical history, the six concertos were recycled from existing works and presented to the Margrave of Brandenburg to show off the range of Bach’s writing and, presumably to give an indication of the skill of his Cöthen musicians who would follow him in the event of a job offer. In the event Bach stayed put in Cöthen, where he had a group of instrumentalists whom he could put in the limelight as soloists. In the case of the fifth Brandenburg it was the turn of the harpsichord: in the copy Bach offered to the Margrave of Brandenburg, the cadenza was expanded to three times its original length and this was the version we heard tonight. Pawel Siwczak had us all gasping with amazement at his range and virtuosity – and stamina. The rest of the band matched beautifully and the concerto’s elegant dances were for me the high point of the evening. Telemann’s Ouverture-Suite in F is scored for strings, two horns and bassoon. 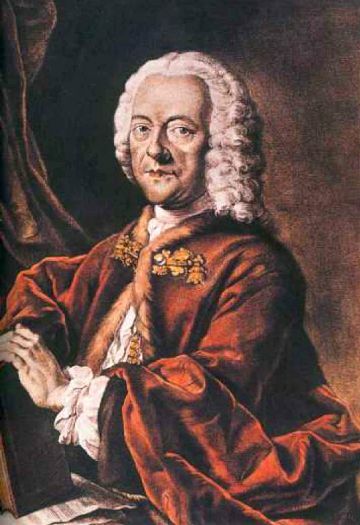 It had a breezy, outdoorsy feel that belied the fact that Telemann was in his eighties when he wrote it. The final movement was titled ‘Tempête’ – it certainly lived up to the title of the festival: “Baroque at the edge”. After the interval the ensemble was joined by Welsh soprano Elin Manahan Thomas for a rare outing of Telemann’s dramatic cantata ‘Ino’. The concert’s title ‘Whither shall I fly?’ was the translated first line ‘Wohin? Wo soll ich hin?’ of this lengthy poem by Wilhelm Ramler. Epic it certainly was, some might say sprawling, but Telemann wasn’t to know that 250 years on audiences would need a glossary for the large cast of characters and events in this piece. We are used to the complicated plots of this period thanks to the operas of Handel and contemporaries, but it was a big ask for one oratorio and consort singer to be centre stage. Elin Manahan Thomas has a gorgeous voice, no doubt about that. And her musicianship just about got her through. But we needed more variety, more drama – and above all, more light in the auditorium if we wanted to follow the twist and turns of the plot.